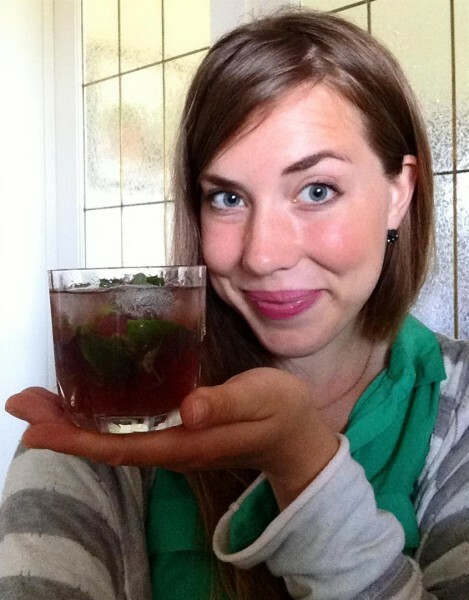 Star Recipe: Kombucha Mojito was posted on August 15th, 2013 and is filed under Dairy Free, Drinks & Smoothies, Star Recipes, Vegan. This entry has 7 comments. You can follow any responses through the RSS 2.0 Comment Feed. Several years ago, when I was still doing school, I used to make homemade kombucha and tried downing small sips during my math lessons. I knew how good it was for me, but sometimes I had trouble drinking it. Eventually, my kombucha brewing hobby got tiresome and my kombucha mushroom was thrown in a bush. The end. Well, not really, I actually discovered I actually do like kombucha – the flavoured kind. 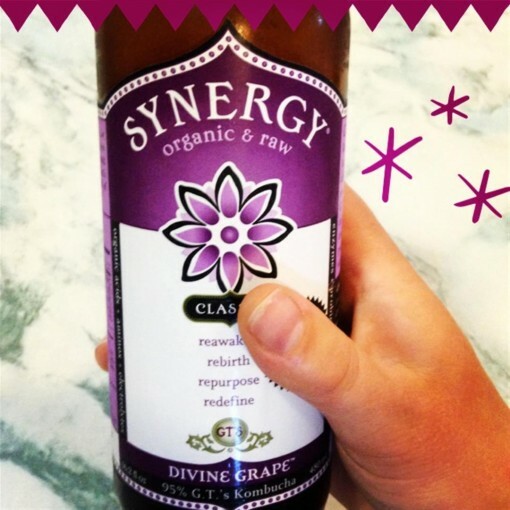 Once in a while, if I can find a place that sells it…I’ll get Synergy kombucha (grape is my favourite!). People, if you’re into pop/soda and trying to get out of the habit, THIS will do it! It’s fizzy, sweet, and oh-so delicious. While kombucha is great by itself, I found this recipe in Brendan Brazier’s book Whole Foods to Thrive (which the kind folks at Vega sent me and gave permission for me to copy) and it just made this beverage oh-so-much more divine. I tweaked the recipe a bit so it was lower in sugar, but here it is! Serves 2. First, make sure to wash the mint well. Muddle the mint, lemon juice, and orange juice together to release that lovely mint flavour. You can strain the juices and pour into two glasses filled with ice or do what I did and just leave that lovely mint in each glass. Pour a cup of kombucha into each glass. 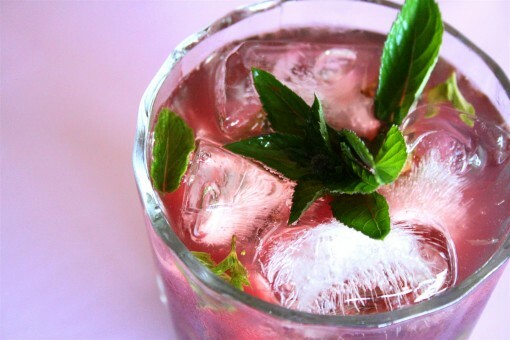 Garnish with a little more mint. Just because. This drink is terrific for digestion and is a perfect thing to serve beside a meal! I love sipping away at this…so refreshing! Also, if you are looking for a book that has awesome plant-based recipes and information on foods we NEED to be eating, please check out Brendan’s Whole Foods to Thrive. While I’m certainly not vegan, I believe in eating lots of plant foods, so it’s perfect for everyone looking to get a little bit healthier! A toast for the deliciousness of life! Have you tried kombucha? Would you ever make it from scratch? Read Brendan’s new book? Yum! 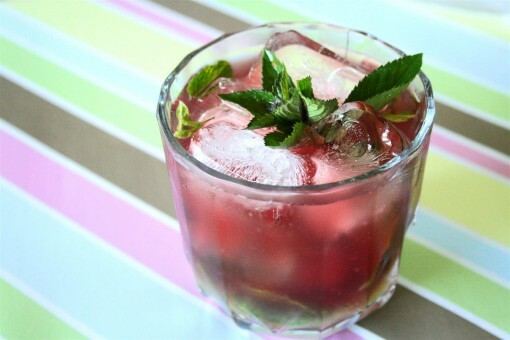 I love kombucha and I love mojitos so this sounds devine! 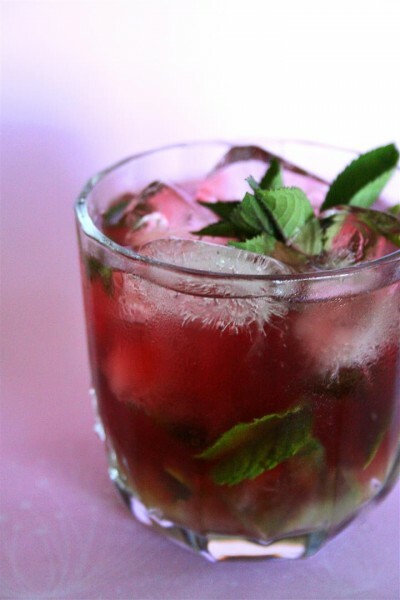 A Mojito is my favorite drink on a girls night out, and I absolutely love Kombucha! This is a match made in heaven. I’m super excited to try this recipe!